Furniture comes and goes, especially the cheaper items people buy to temporarily fill space or bargain items they buy before they’re ready to purchase quality pieces. Often modern furniture doesn’t last the test of time because it’s not crafted with care or constructed of long-lasting materials. 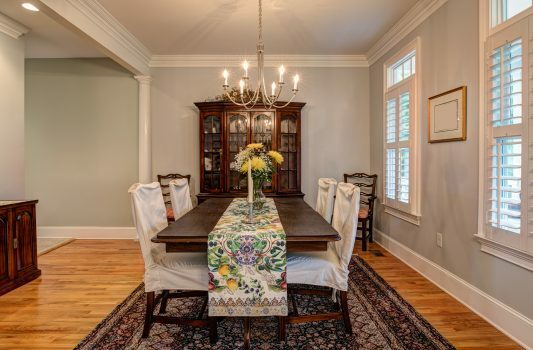 You may have an old writing desk, armoire, or dining room set from a relative that has survived the decades due to its heavy-duty construction and consistent care: a custom piece that has been passed down because it’s beautiful, hardy, and functional. In these modern days of allen wrenches, particle board, and mass production, you might be surprised to know that you can still purchase heirloom furniture for your children and their children — and maybe your great-grandchildren — to enjoy. Meyers Furniture can work with you to find quality pieces; we’ll make sure to help you look carefully and do your research. Want your furniture to make it to the 22nd century to be cherished by your ancestors? Listen to what the experts say. While metal, wicker, and upholstered items can be bequeathed, it’s the wooden items that are most often the ones being refurbished and handed down. This Old House magazine building technology editor Thomas Baker reminds buyers to look for items that use “the kind of wood-to-wood joinery that has passed the test of time: pegged mortises and tenons, dovetails, wedged-through tenons, and half-laps…” Metal fasteners should be well-hidden and used sparingly. In terms of wood, Ernie Hershberger of Housetrends Blog, suggests planks be no wider than 4 inches, otherwise the wood may be fabricated. And the grain of the wood should run in opposite directions from plank to plank to keep the surface flatter. Also, consider asking about the wood glue used. Humidity and quality will affect how the seams look. For the finish, a natural one is best. Stain or paint can cover pricey, lovely planks. However, you will want some form of long-lasting clear protection to keep the piece looking new. Meyers Furniture can give you expert advice on your next piece of heirloom furniture and help you choose pieces that will make memories. Stop in to see us in Rochelle and Mendota today!